The weather is warming up! Before it is too late, schedule the food truck for your Summer events! 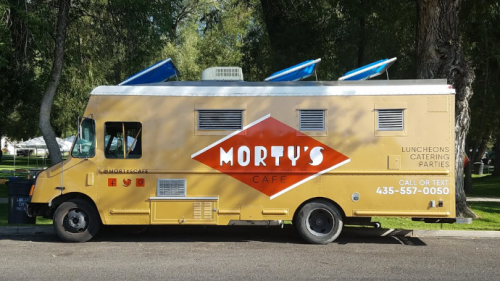 The Mortys Cafe Food Truck stays very busy going from event to event! If you would like to know where the food truck will be next, check out our calendar or our Morty’s Cafe Logan Food Truck Facebook page! It’s great for a quick meal during your lunch break! Or convenient for events you might be hosting. If you would like to know more about scheduling the food truck, please contact us! or call 435-557-0050. We are excited to work with you!